Fried Gator Nuggets, Oh Yea! Built in 1991, Pearl’s Good Eats, (originally Pearl’s Smokehouse) is a real treasure amongst theme park diners. Named after the founder’s wife, Pearl Godwin, the eatery is located near the World Famous Gator Wrestlin’ Arena and is open daily for lunch and dinner. The menu is packed full of family favorites including hamburgers, hot dogs, pulled pork sandwiches, ice cream and much more. But the true guest favorite is definitely the fried gator nuggets – no, we don’t use our own gators! 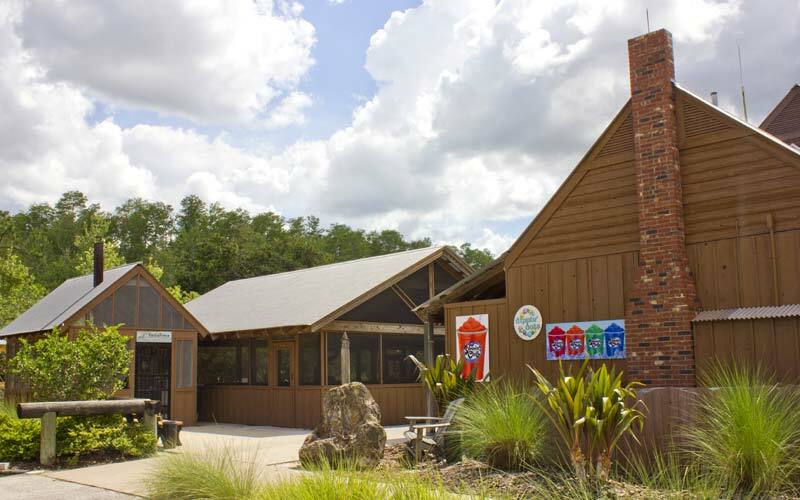 Guests have been known to drive for miles for some of Pearl’s famous gator bites. Oh, how they love´em! Everything is priced affordably so as not to break the bank while you’re here. 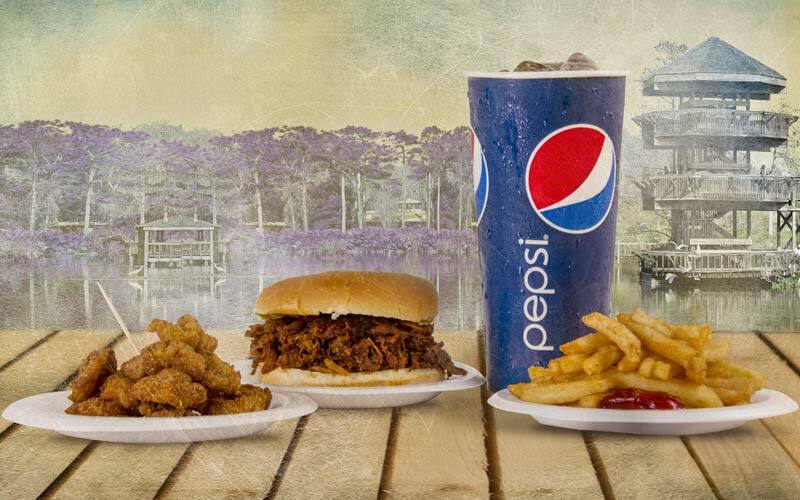 Where else can you munch on fried gator meat while surrounded by hundreds of man-eating reptiles? Picnic table style seating is available in a screened enclosure located next to Pearl’s. For the well-being of the residents (animals & reptiles) outside food and beverages may not be brought into the park.